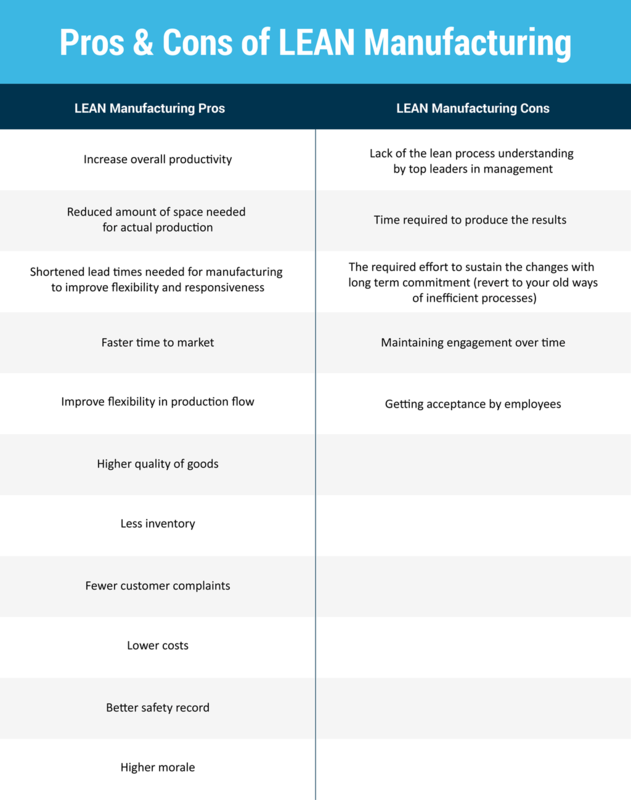 One way your business can improve their profits and reduce production times is by adopting a lean manufacturing or lean production approach. It is a way to eliminate waste and improve efficiency in a manufacturing environment. Lean manufacturing principles need to lead the conversation for the whole enterprise to achieve lean. As a global manufacturing solutions provider, we are dedicated to state of the art manufacturing systems. Our dedication brings you the most successful systematic approaches of identifying and eliminating waste through the LEAN concepts and tools. In this article, we cover increasing quality with no loss to productivity, ensuring safety and reducing cost through the principles of lean manufacturing. Early developments in lean manufacturing were centered around automation, standardisation of work and developments in manufacturing theory. The first person to integrate an entire production process (assembly line) was Henry Ford. Having the knowledge of Ford's system, engineers at Toyota, began the process of trying to perfect "flow production". They wanted to eliminate waste and inefficiency in its manufacturing operations. It later became known as TPS (Toyota Production System). A system that focused the flow of the product through the total process. "All we are doing is looking at the timeline from the moment the customer gives us an order to the point when we collect the cash, and we are reducing the time line by reducing the non-value adding wastes." A Lean Manufacturing timeline from the Eagle Group displays the major innovations of American and Japanese manufacturers–namely Ford, GM and Toyota–in their quest for efficiency, quality and consistency. 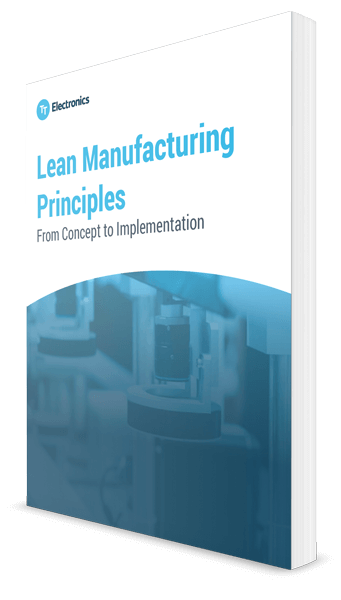 Based on a 5-year study on the future of the automobile, the book, "The Machine That Changed the World" (1990) by James P. Womack, Daniel Roos, and Daniel T. Jones was written to explain the story of mass production versus lean manufacturing and why lean wins. Lean principles teach businesses to become flexible. It offers opportunities for organisations to continue to grow and improve. 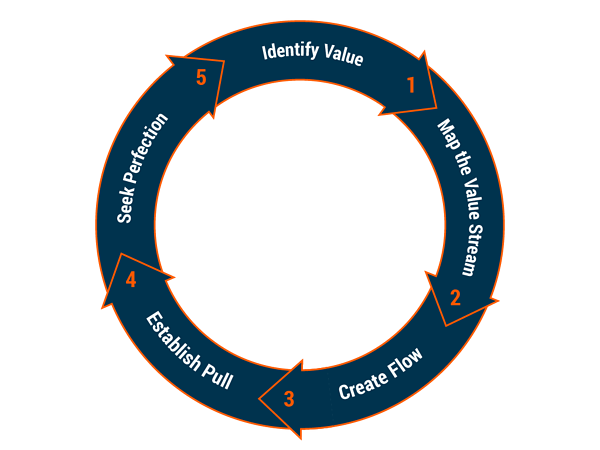 Based on the Lean Enterprise Institute (LEI), the five-step thought process for implementation of lean techniques are value, value stream, flow, pull, and perfection. Accomplishing all the steps that lead to perfection is no small task. There is a need for continuous improvement (kaizen) "change for the better" at all times. Kaizen is the Japanese word for "continuous ongoing improvement". According to the Kaizen Institute, it is "recognised worldwide as an important pillar of an organisation’s long-term competitive strategy." It is considered to be one of the cornerstones of lean manufacturing. Similar to lean manufacturing principles, there are fundamental principles that are embedded in every kaizen tool and behaviour. 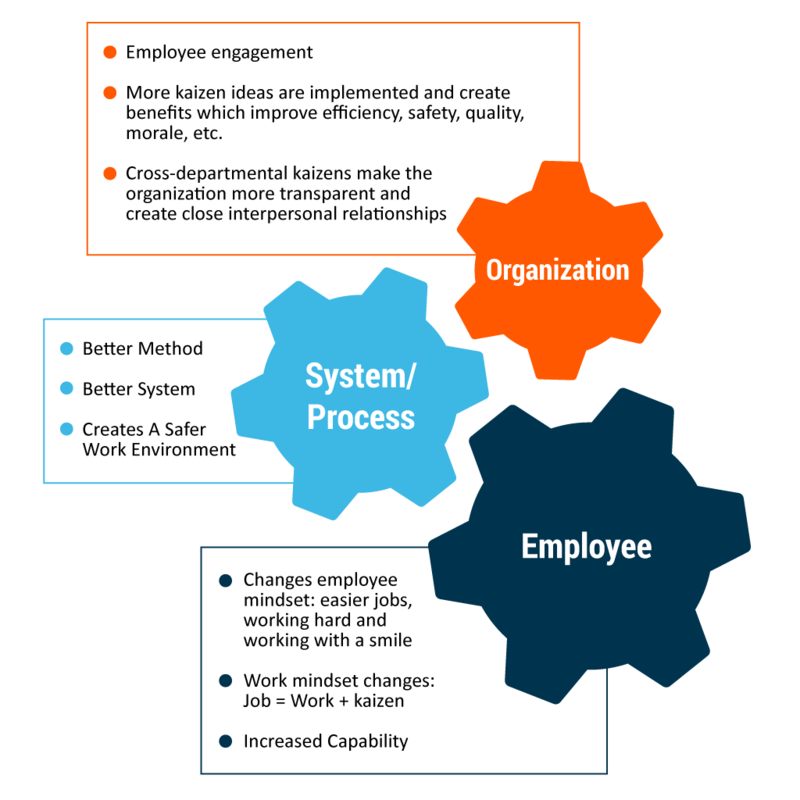 Source: Kaizen Institute Consulting Group, Ltd. "The Core of Kaizen". YouTube. November 22, 2018. Know your customer - identify their interests so you can enhance their experience. Let it Flow - everyone in your organization should aim to create value and eliminate waste (MUDA). MUDA is a Japanese word meaning "futility, uselessness, wastefulness". Wastes can consist of overproduction, inappropriate processing, and defects. In manufacturing, MUDA does not add value to the customer's purchase. Go to Gemba - "the real place". Value is created where things actually happen. Gemba refers to the location where value is created. Gemba kaizen embraces the skill set of an entire organisation. The belief is even the smallest improvements will create greater value in time. Empower People - inspire and reward everyone for achieving production improvements, and provide a system and tools to reach them. Be Transparent - speak, manage and educate with real data. Performance and improvements should be tangible and broadly visible. One of the concepts of kaizen, is to fully embrace excellence in any work environment. The Kaizen Institute recommends the "Six S's" to ramp faster to achieving overall success. 6S, (originally known as 5S plus Safety) is a lean process improvement tool. They are techniques to enhance productivity, quality and safety at the workplace. They are intended to eliminate waste. 1. Sort Out (organise)- if you are not using items in your workplace, discard or store them. A company's goal should be to have a streamlined working area. 2. Set in Order or Stabilise - have easy access to the items you use on a daily basis. 3. Shine (Scrub or Sweep) ensure everything is cleaned and functioning correctly with no clutter. 4. Standardise - set standards or develop a routine for performing the first three "S's", sorting, setting, and shining. 5. Sustain - Create a work environment that can follow the steps indicated on a daily basis. Creating a culture that embraces the 6S's is critical and will maintain the correct procedures. 6. Safety - Organisation will keep all employees safe in the work environment. The benefits of implementing 6S are shown through the workplace becoming cleaner and safer, workflows becoming easier, and errors are minimised. Lean manufacturing is a comprehensive process. As with any process or system requiring change, there will be advantages and disadvantages. 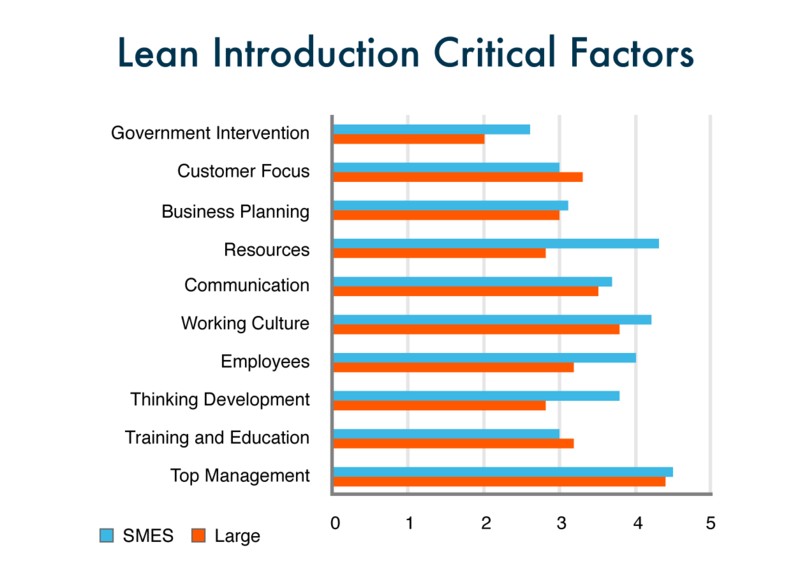 Here are some of the benefits as well as the downside of adopting lean strategies. Eliminating waste and controlling quality and inventory is the goal every effective manufacturer desires. Improving overall performance across their workplace requires tenacity and skill. According to Lonnie Wilson, Author, "How to Implement Lean Manufacturing ", it also takes leadership and management. His belief is to shape and manage culture using the five cultural change leading indicators; leadership, motivation, problem-solving, total facility engagement and learning/teaching/experimenting. "The things that make the TPS (Toyota Production System) unique among lean companies are not technical but rooted in culture." In a recent study, surveyed managers affirmed top management's role was critical to implementing and enforcing new principles and practices. Based on a survey within the manufacturing sector, top management has been highlighted as the key success factor, particularly for SMEs (small and medium-sized enterprises). Leadership must have a plan. And they must be able to articulate the plan with every employee in the workplace. This a great example of where the PDCA (Plan Do Check Act) business approach comes into play. Companies need to work as a team. They will define a problem, execute a solution, review/revise results, and educate others on the results. Employee engagement is paramount for change. Engagement can be facilitated through training, mentoring and coaching on all levels. Employee engagement will boost individuals, teams, and overall production and operational performance. Experimenting comes back to the use of continuous improvement (kaizen) "change for the better" at all times. 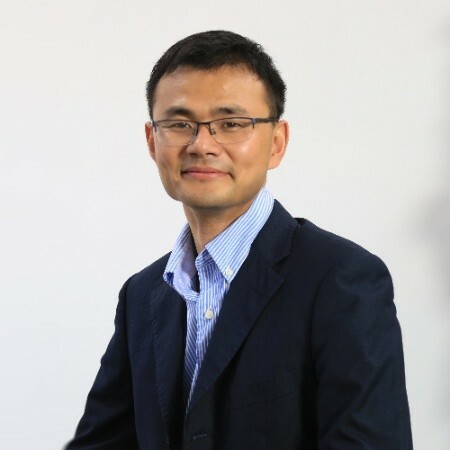 While this is easier said than done, TT Electronics, Suzhou was faced with implementation challenges. Many of the employees and managers were excited on the science and concept of kaizen, however were slightly resistant with the time and process it would take to see success. Management understood the need for clarification and created a clear, well communicated vision of the "idea concept" to avoid any misunderstanding. A system was developed to help employees submit ideas easily via mobile phone, and a dedicated team was created to assign these ideas and follow up its performance. Communication was put into action with biweekly review meetings, best practice sharing via WeChat feeders, and annual kaizen idea focus week. We used a 7 step systematic process to start improvements. Step 2: The idea was submitted in the WeChat App, a mobile text and voice messaging service. Step 3: The idea was acknowledged by the dedicated team. Tip: Set up a cross functional team with one dedicated MLP (Master Lean Practitioner) to guide the team through the process. 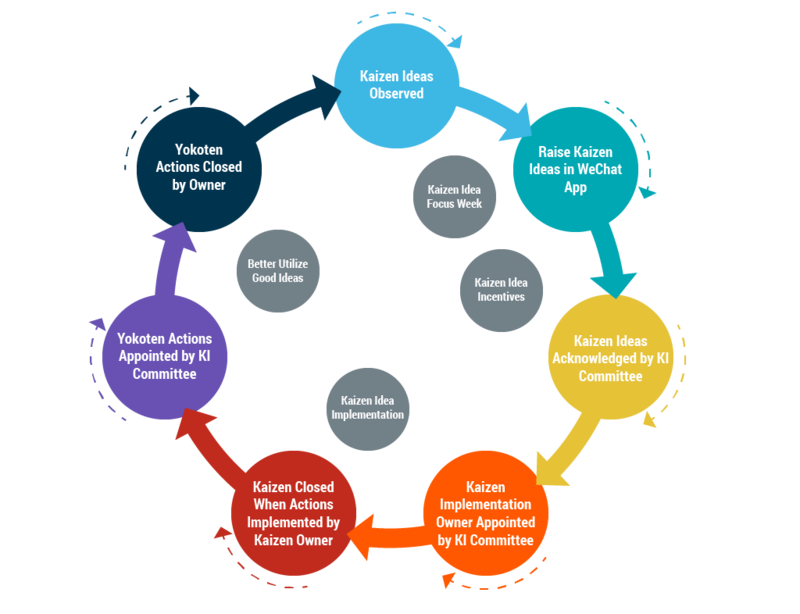 Step 6: Yokoken actions (horizontal deployment) shared by the idea committee if the idea can be used across an organisation. Identify the champions for their ideas and share their good experience within their own department. During the initial idea implementation, TT Electronics, Suzhou received almost 3,000 valid ideas in 2016. By 2018, the ideas were flowing with close to 10,000, with 100% of employees engaged in kaizen idea activities and more than 60% of the ideas implemented. 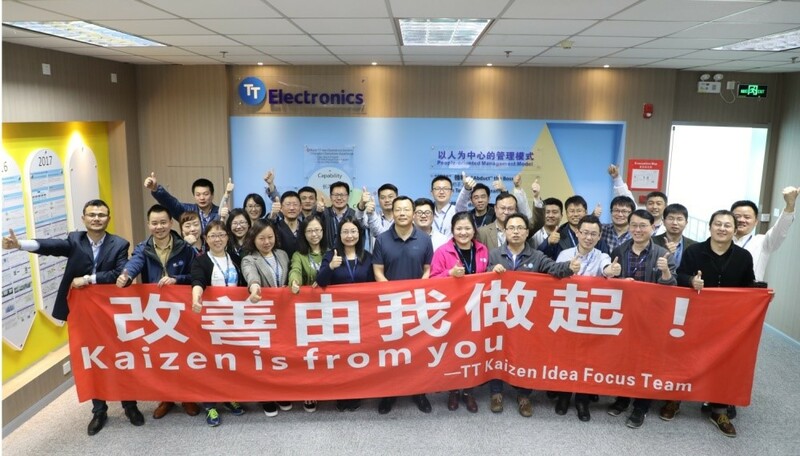 By implementing kaizen tools and principles, TT Electronics dramatically improved quality, lead time, cost, and employee morale. For kaizen and the lean manufacturing principles to work well, every employee must be involved in every step of the process, every day. "Implementing kaizen the right way is not necessarily easy or inexpensive. It's important that management lead by example, involve themselves in the workplace, understand real data, identify the problems to provide solutions. Secondly, the principles are not limited in manufacturing, but apply to daily work, environment and safety." Both systems have the same goal just a slightly different approach. 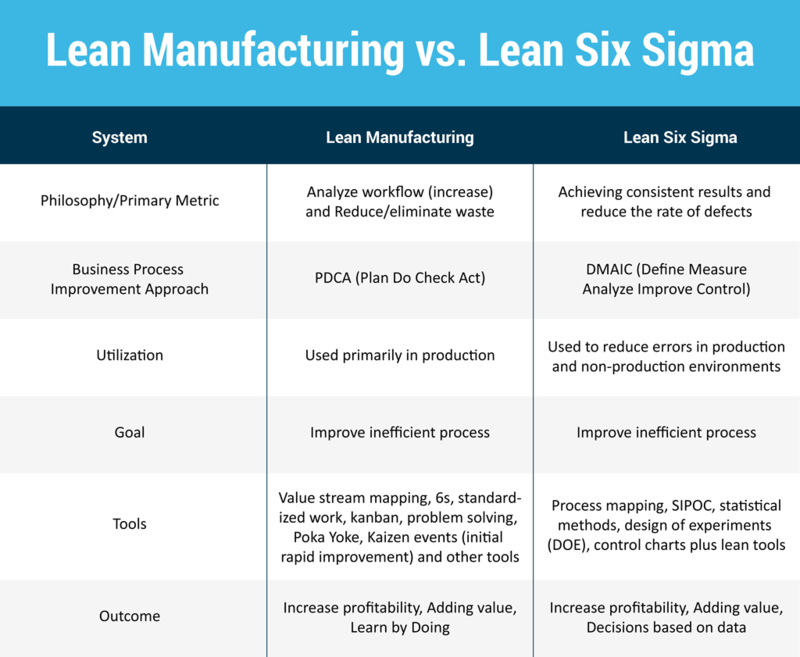 Lean Manufacturing and Lean Six Sigma can be more powerful used together. The two methodologies and principles go hand in hand. Lean is concentrated on waste removal and being more productive. Six sigma is structured on reducing the rate of defects and variation utilizing statistics. Lean manufacturing is a set of tools that can be applied to any system of manufacturing to enhance productivity, quality and safety in the workplace. 1. What is 6S all about? Problem-solving by using data and statistics, following DMAIC (define, measure, analyze, improve, and control). Value stream mapping is a visual tool to highlight all the areas of waste, from the customer's order to the delivery of the product. The EMS consulting group defines it as, "Value stream mapping is a practice developed by Toyota, where it is commonly known as Material and Information Flow Mapping. A value stream map shows all of the actions required to bring a product or service to a customer. A lean organisation understands customer value. Applying lean manufacturing principles helps to increase revenue by providing a better quality product in less time. TT Electronics customers get better value because our lean manufacturing system has zero waste. The Global Manufacturing Solutions division of TT Electronics is a powerful resource for your local and global lean manufactured components. TT Electronics is the right fit for OEMs requiring high mix, low volume manufacturing.